Why Are People Talking About Gate Hinges So Much? – Kielser Machine Inc. Hinges play a vital role in the movement, or opening and closing of doors and gates. They facilitate easy movement. Hinges can be of different types, which are used for various types of doors and gates. One of the important functions that these components is that it attaches the gates firmly to the frame, thus providing a good security. The gate hinges are mainly used for security purposes. Why? Because of its features. What are these features? What are the security applications of hinges? To get an understanding of all this, please read this post. The post will also help you understand certain guidelines or tips to consider for installing these hinges. 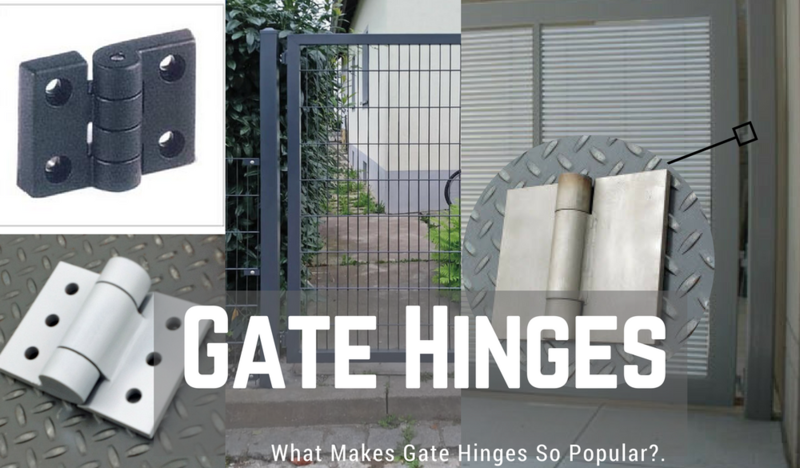 What Makes Gate Hinges So Popular? The gate hinges are specially designed to provide a good level of security. For this purpose, they are made from heavy duty material and are reinforced with glass fiber. These hinges are UV treated. This increases the overall strength of these hinges and makes them extra sturdy. One of the striking features of gate hinges is that they are rust free. These gate hinges do not require frequent lubrication. These hinges require no or very less maintenance, thus helping you save well on maintenance costs. Most gate hinges are non-handed. This means that these gate hinges can be used for both right and left-hand door installations. These hinges can be manufactured in custom leaf lengths or widths. The gate hinges have outstanding weight bearing capacities. Thus, they are most widely used for heavy industrial gates. 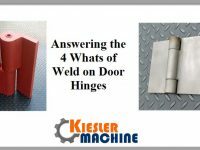 You can either mount these hinges with holes or weld them. These gate hinges are made from hardened alloy. They feature precision bearings and non-removable pins, which makes them tough. What Are the Things to Remember While Installing Gate Hinges? Attach more than two hinges for a firm hold of the gate and added security. Consider additional hardware while calculating the hinge load. Attach a small metal plate on the bottom of the gate for added load bearing. This helps the gate withstand additional weight due to people standing on the bottom bar of the gate rungs. Consider installing gravity gate latches and catches for additional support. Where Are Gate Hinges Used? This was everything about gate hinges used for security purposes. You cannot afford to compromise on the quality of the hinge for the sake of saving money. It is a one-time investment, which keeps your property safe from various threats. Thus, it goes without saying that for a better security, it is advisable to buy the hinges from a well-experienced and trusted manufacturer or supplier, who has a good knowledge about the component. 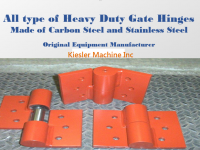 One such trusted and leading manufacturers of gate hinges is Kiesler Machine. 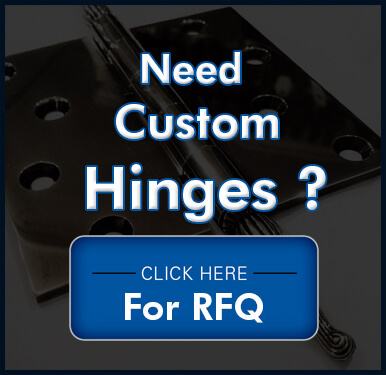 The company is known for manufacturing finest quality hinges for various door applications.